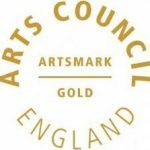 Wednesday 24th – KS1 Sponsored Wake n’Shake session 8.30am, NSPCC workshops for Y5/6. 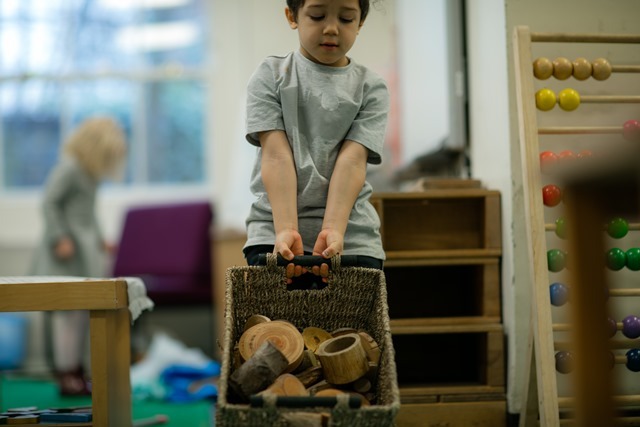 Nursery Stay and play session 9:30-10:30am. Friday 26th – KS1 Wake ‘n’ Shake session 8:30am, Y4’s trip to the Neasden Temple and a visit from Jon Abbey. This Wednesday will be our final Stay and Play Session and we are looking forward to welcoming more prospective children and parents along to the nursery. Do take a look at the latest entry on the Brookfield Blog. 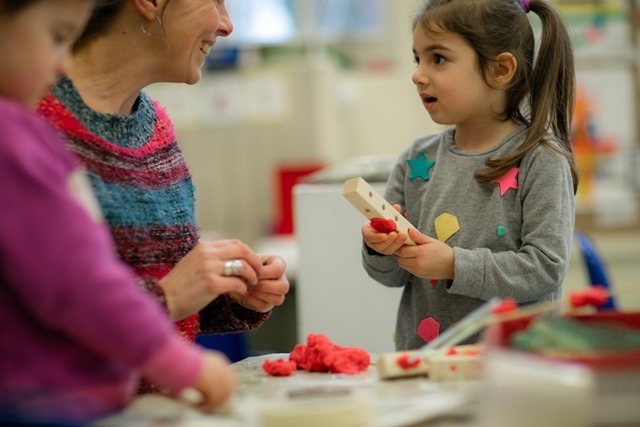 You can find out how Nursery have used the stimulus of the 3 Little Pigs and the Big Bad Wolf to inspire some fantastic learning – brick making, story writing, baking 3 little piggy cakes and testing out their houses with a big bad wolf hairdryer. Tickets are selling fast for what promises to be one of the highlights of the year – The Brookfield Auction. If you haven’t bought yours yet, please pick one up from Sophie in the school office. In addition to the auction, on the night there will also be some food and fizz and some fantastic live entertainment. As well as the fabulous event on the 8th of February, Brookfield is running a web-only auction with more fantastic items to be won. If you can’t make it on the night, you can still join in the excitement from your computer or mobile. Please take a look – we will be adding more items in the next couple of weeks. You can bid online or buy some of the fixed-price items – there are prizes for all budgets. This auction is not limited to Brookfield parents – please do forward to grandparents, friends and family. Last Wednesday, Ilanna from the NSPCC came in and delivered some powerful assemblies on staying safe. 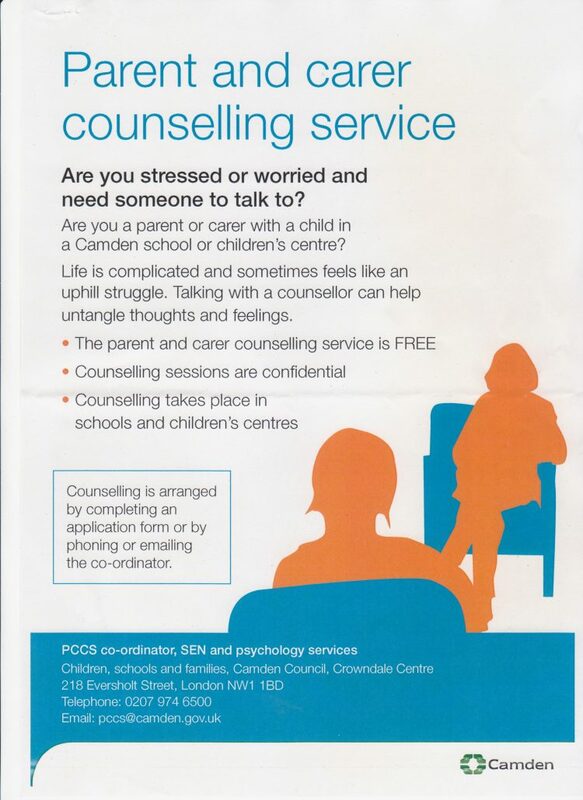 Children were encouraged to think about worries which they might have and who to report them to. 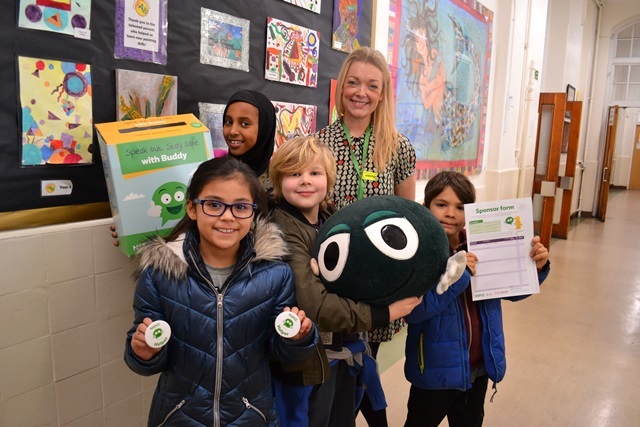 Ilanna shared the telephone number of Childline – 08001111 and encouraged children to get involved in some fundraising for the NSPCC. 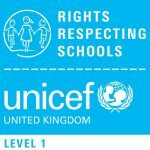 With this in mind, children brought home letters and sponsorship forms last week and have been invited to take part in some sponsored Wake n’Shake Sessions this week. The class with the most participants will win a special certificate and the winning school – their very own Buddy. 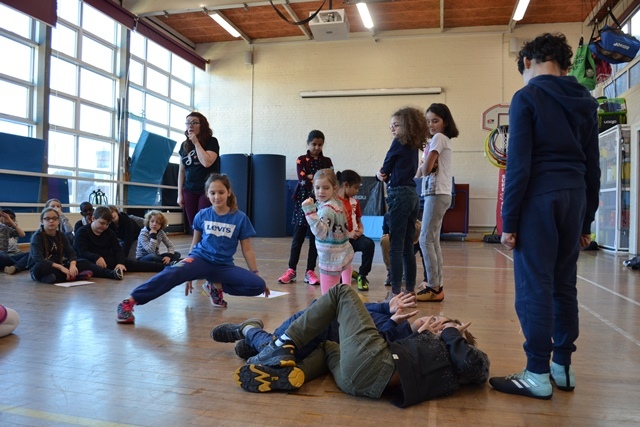 Y5 took part in their first Shakespeare Schools Festival Workshop and used a range of different activities and games to explore different characters, scenes and lines from the play. We are really excited to see what they devise in the next few weeks and look forward to their showcase on Thursday February 8th in the afternoon. This week we received the lovely following feedback from one of our grandparents, Rosie Keep. I was fortunate to join yesterday’s trip to the Museum of Childhood and I just wanted to thank you for the opportunity; it was a great pleasure. The children were extremely well behaved, confident, receptive to learning and thoughtful to others despite the delay to their return. I feel this comes from the ethos of the school. 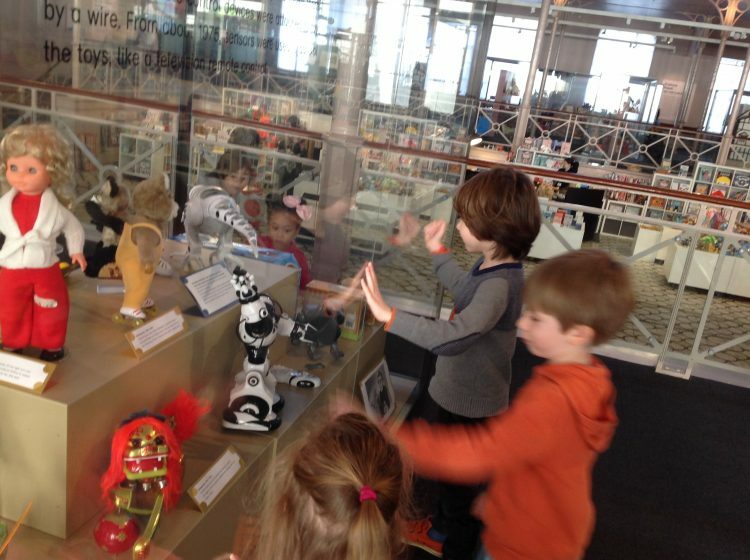 I was particularly impressed with the way in which Michelle (I was in her group) and Laura were able to maintain discipline while allowing the children to explore parts of the museum on their own. Lunchtime was a complex operation in which children’s individual needs were catered for and they all seemed happy. The whole day was a masterpiece of good organisation. Please pass on my thanks and congratulations to all the teachers in charge. Thank you so much Rosie. We really appreciate your encouragement and support. 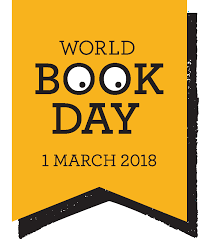 We will be celebrating World Book Day on Thursday 1st March. 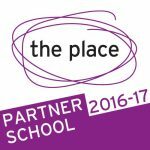 Each year, we aim to invite a number of guests into school who have a special interest or experience in story writing/ story telling. We know the Brookfield community has a wealth of such talent and are keen to find out if anyone would be interested in offering their enthusiasm/ expertise for the event. I am delighted to welcome Jon Abbey (newly appointed director of Camden Learning) to Brookfield this Friday afternoon. Jon will meet Elizabeth Dormandy (chair of govs) and myself and will be taking a tour of the school. Last Friday, 3 of our governors (Elizabeth, Rachel and Jo) conducted a learning walk with a focus on behaviour and safeguarding. The governors were able to observe Soft Starts, take a tour of the school, interview children and staff, attend an assembly and monitor the children’s behaviour at playtimes. It was a very useful and insightful session. 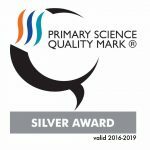 We frequently receive positive feedback from our parents/carers and it would be great to share this with OFSTED as well. Click on the image below to register to participate. Alternatively visit www.parentview.ofsted.gov.uk. Thank you so much to those parents who have already filled it in. Congratulations to Cyrus (Y5) and Sophia (Y2) for passing their grade 3 and grade 1 piano exams with merit. This a great achievement and the result of a lot of hard practice. Well done! Today some of the Y6 children took part in the swim gala trials. I will be informing them as soon as possible whether they have been selected to represent the school or not. Y5 trial’s will be held next Monday 29th Jan. Tomorrow, (Tuesday 23rd) will be the final league matches for the Y5 and Y6 football team. Our first game is at 4.20pm and the last is at 5pm finishing at 5.20pm. We will be back at school by 6pm. PLEASE make sure you collect your child on time. This Wednesday 23rd Jan, the selected Y6 children will be taking part in an indoor athletics event. I need a volunteer to help with the supervision and travelling to and from Talacre – do let me know if you are able to help. Those who take part in the pre school run on Tuesday mornings, we will be meeting up at the slightly earlier time of 7.50am tomorrow as I need a few minutes to set up for the Wake’n’Shake session afterwards. We will be back to normal time next week. THE ONLINE AUCTION IS LIVE! 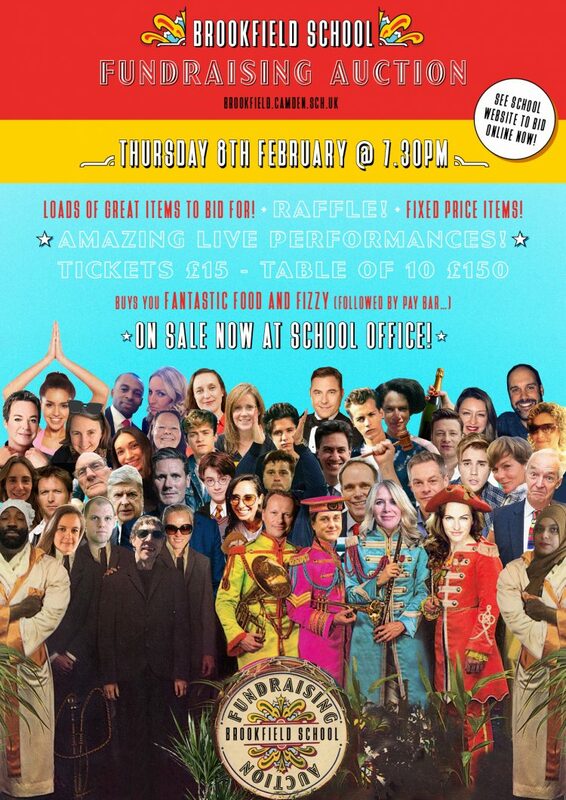 Tickets for the live auction night are available now from the school office for only £15 each. Your ticket includes a sit down meal, 2 glasses of fizz and a night of entertainment. There will also be a pay bar on the night. There is very limited ticket availability – buy your tickets asap from the office to secure your place! There will also be a raffle with some terrific prizes up for grabs and tickets will be on sale in the playground soon! Thanks so much for all of your help contributing to this already. We hope to see as many of you on the night as possible and don’t hesitate to drop the organisers an email if you have any questions. And do join us for PTA coffee at 9.05 on Friday 26th January at the Oak Tree café opposite school.